“Art has the role in education of helping children becoming like themselves instead of more like everyone else”. Art is one of the many ways children express themselves. When it comes to art, it is the process not the product that is important to the child. 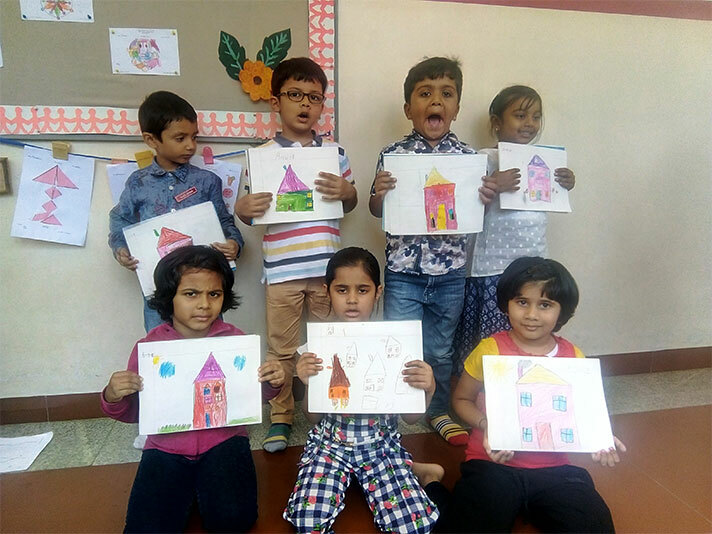 ‘Creative Corner’ a Montessori initiative is primarily to introduce skills that can be used later in art application and appreciation. 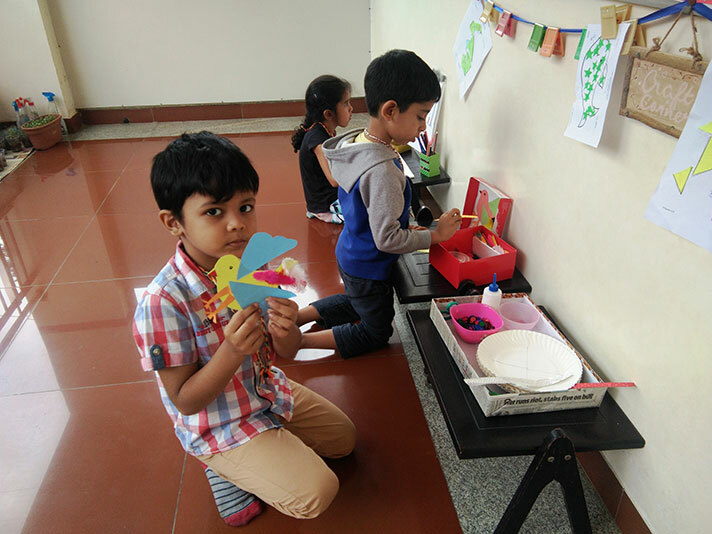 The Art and Craft area aims to prepare children for more complicated and multiple step art as they progress. This has been implemented from August 2018. As children manipulate a paintbrush, their fine motor skills improve. By counting pieces and colors, they learn the basics of Math. When children experiment with materials, they dabble in Science. Most important of all is the building of their self-confidence. 3 to 5 activities are planned for a particular month and are put out on display. All seniors are given a presentation of these activities. After which they are free to choose them any time during the course of the day. 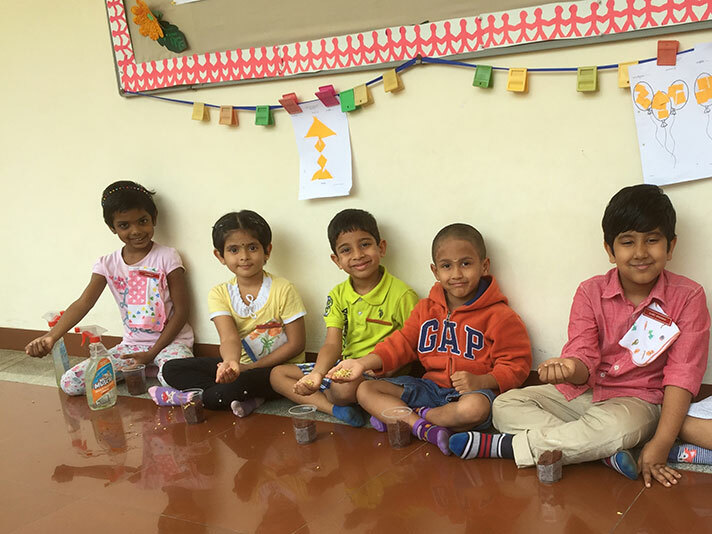 The concept of a ‘Craft Chain’ which aids in monitoring the children at work and limiting the number visiting the creative corner has been introduced. This also helps in teaching them to wait for their turn. A Sign-up sheet is maintained by the children to tabulate work done by them. The children had great fun creating and taking home their work of art. It was interesting to see how children perceived the activity and created their unique pieces. It truly gave them a sense of inner joy and satisfaction. 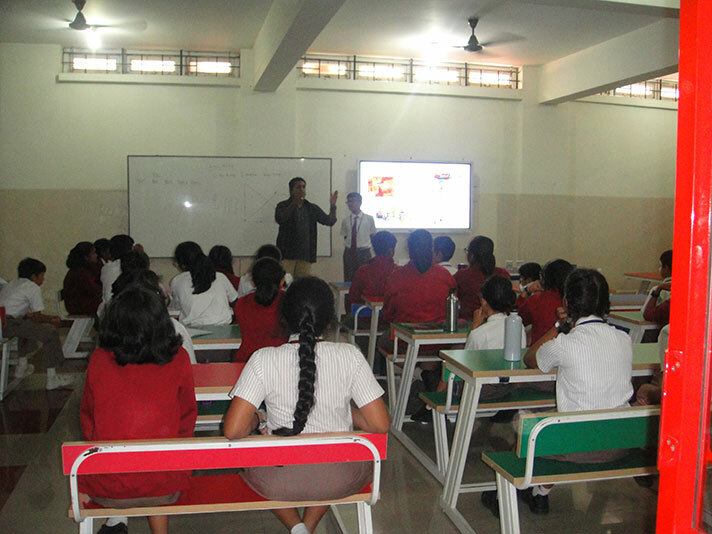 NPS HSR in collaboration with the organization Step Up for India launched a Teach Power program in the school. 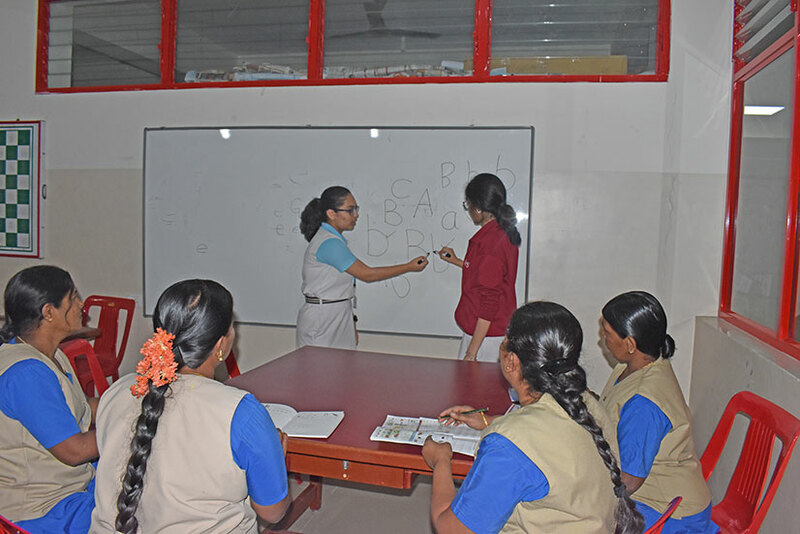 The program aimed to teach Basic English Language skills to the female support staff of the school. The resources and learning materials for the course were supplied to the learners by the organization. 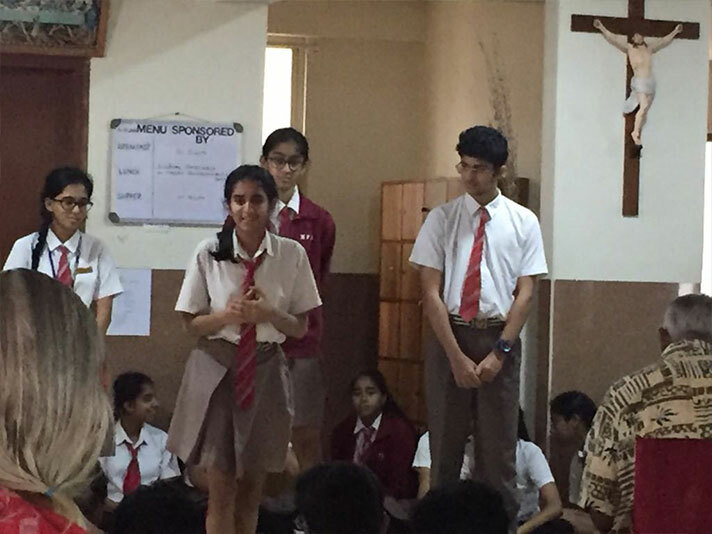 A team of students from grades 9 to 12 volunteered to teach for the program. An orientation session was organized for these volunteers to inform them about the knowhow of the program. The classes began in the month of September and there was palpable excitement in the air. 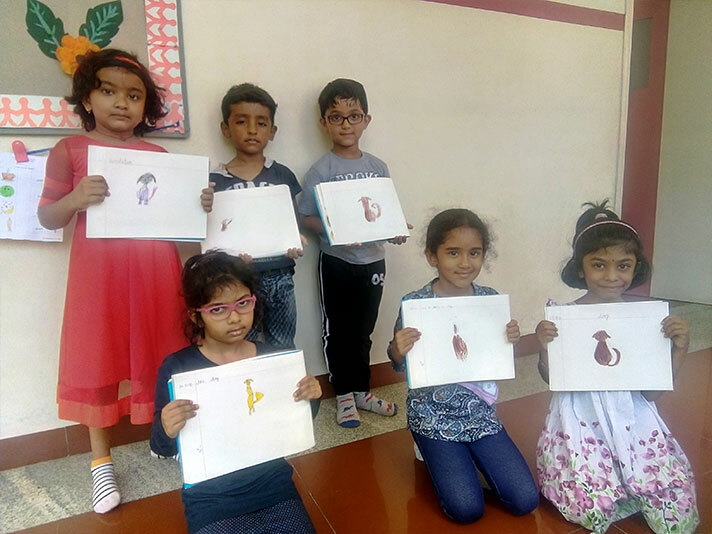 The learners took to the classes quite enthusiastically and the student volunteers were also equally enthused by the initiative. 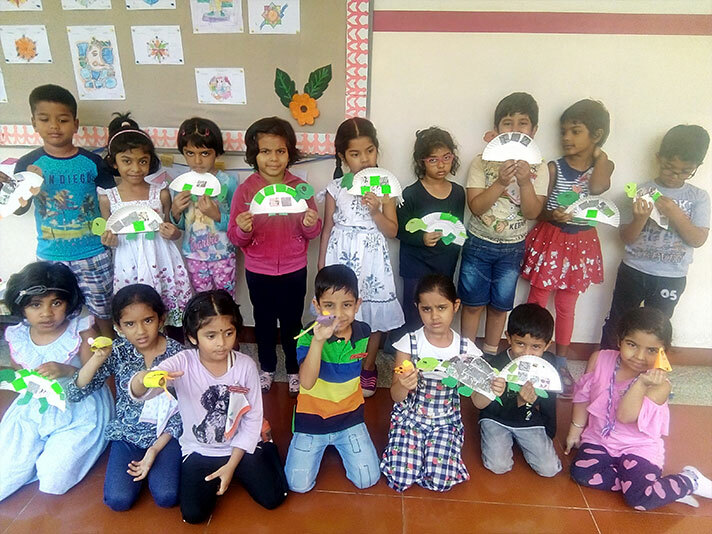 To instil in children the value of conserving and protecting our natural resources for future generations and to inculcate in them a love for our earth and nature, we have the Go Green initiative for the Montessori students. 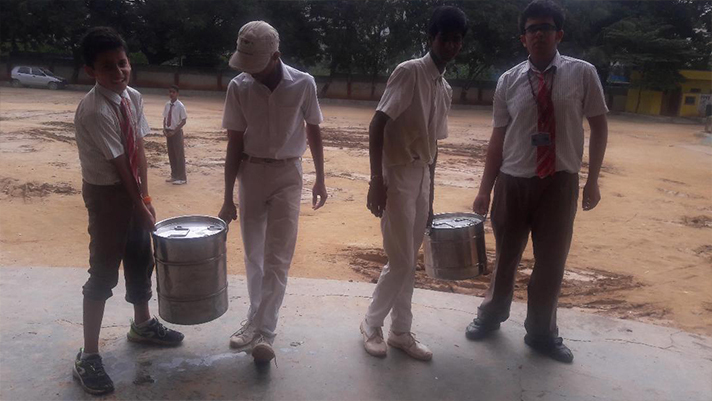 Following were the activities done by the Seniors in Semester 1 as part of Go Green. 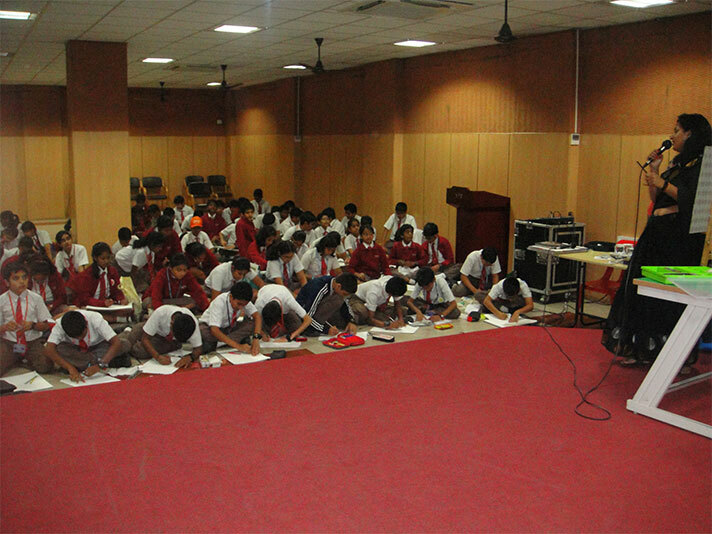 In the month of June students were introduced to the Go Green initiative. 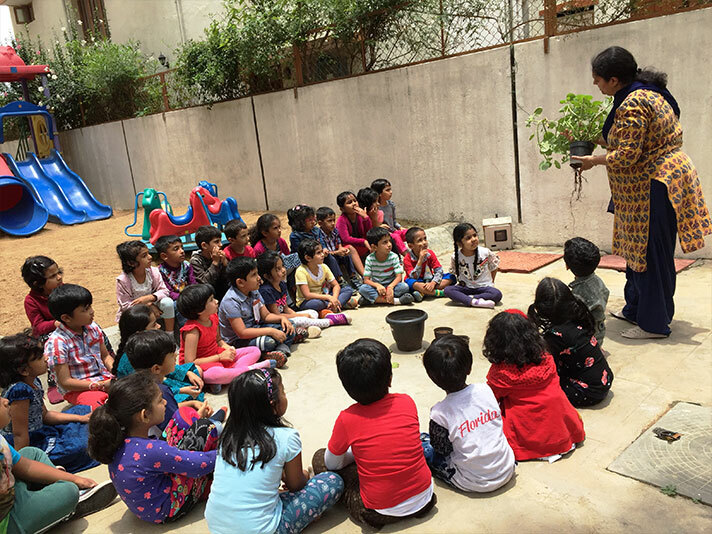 They learnt about their responsibilities towards protecting the environment and how each one of us can contribute to this cause. 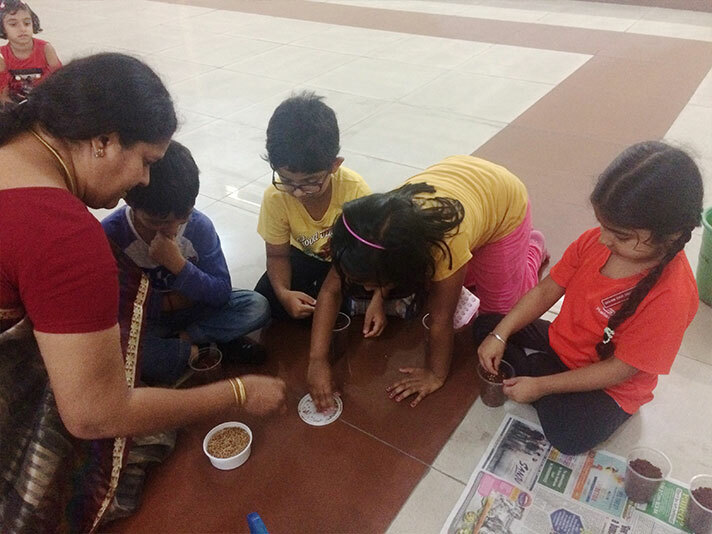 Then the children sowed coriander seeds. 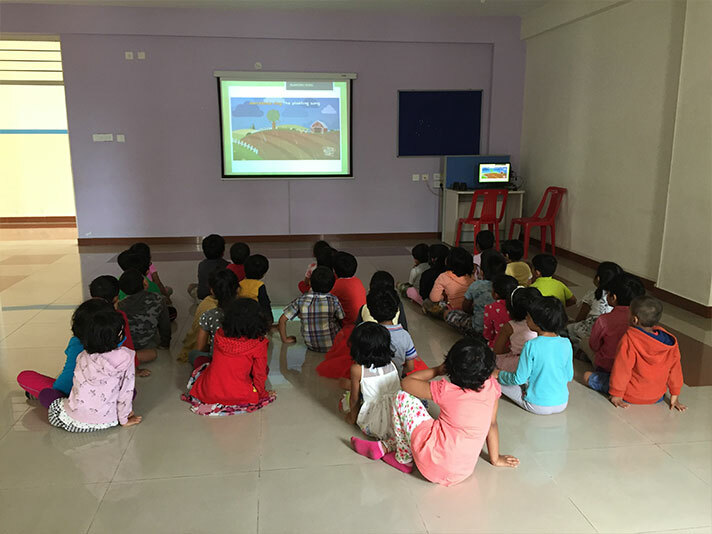 Children were shown a PPT on herbs and they sowed methi seeds. Children were briefed on the three Rs – Reduce, Reuse and Recycle, following which they did their own newspaper bags to store their things. They were also shown a demo of pruning over-grown plants and repotting. 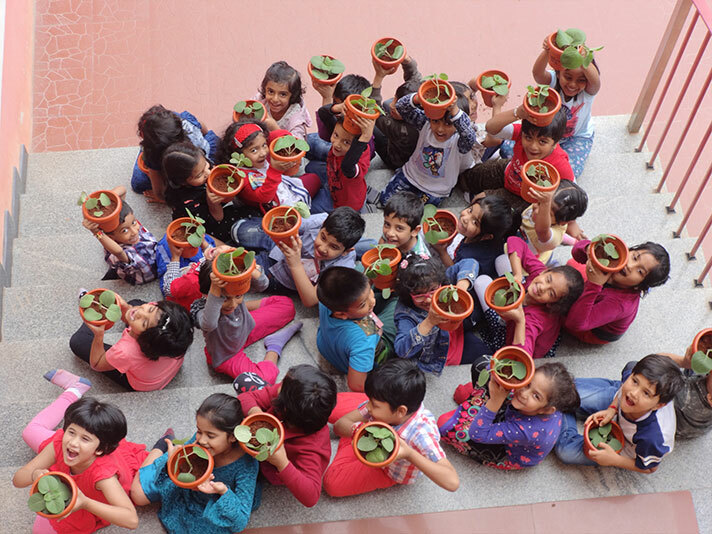 The pruned ajwain stems were used for planting in the children’s own pots. 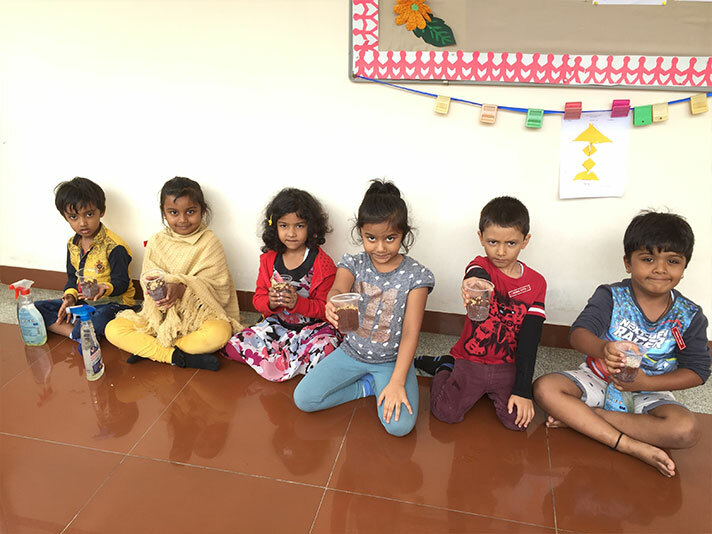 The children took home with them their coriander saplings. 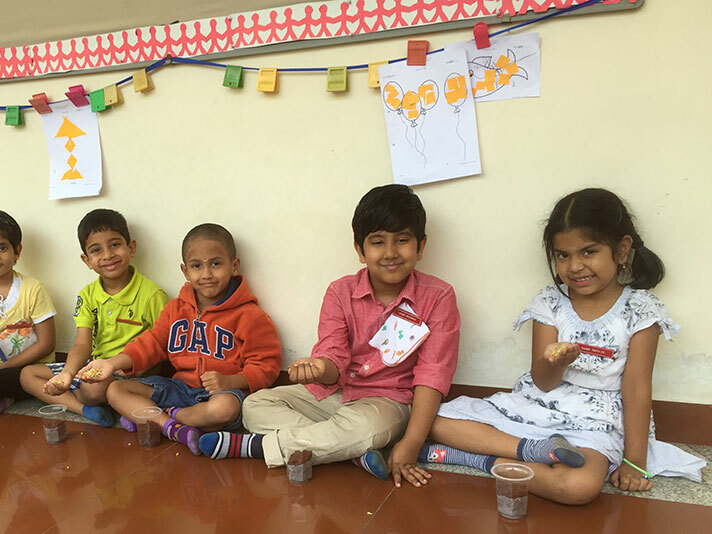 Children saw how seeds also come from flowers as they sowed marigold seeds and watched it grow. 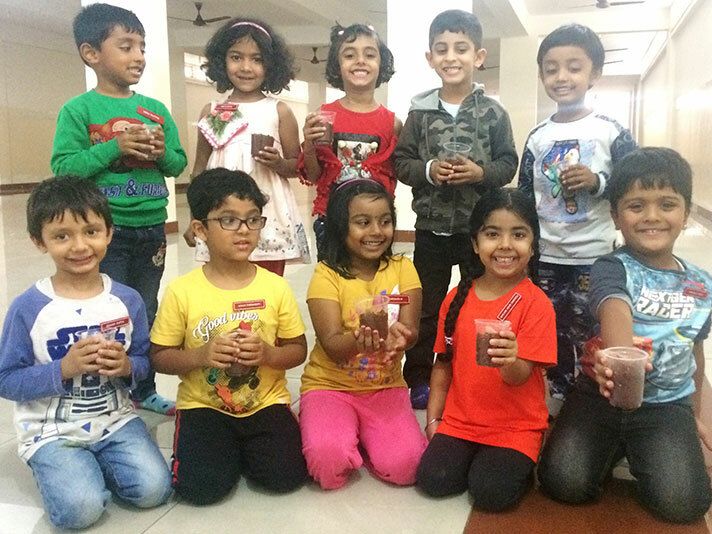 To show them how plants propagate from seeds in fruits, ripened tomatoes and seeds from chillies were used for sowing. 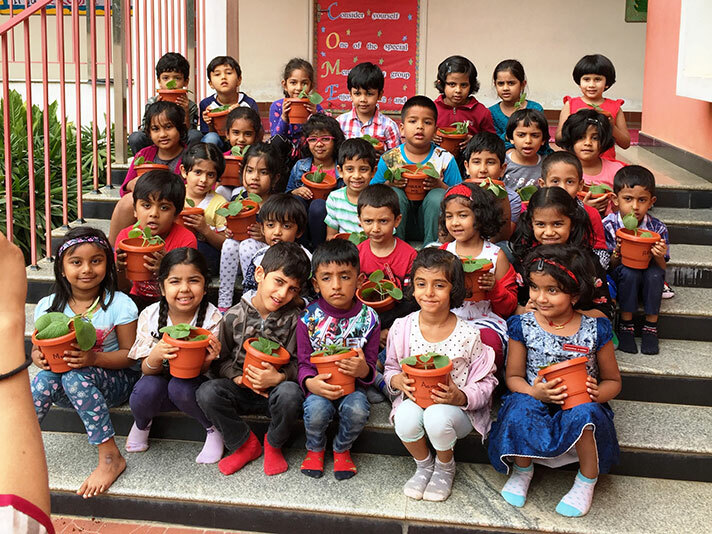 Children took home their new-grown ajwain plants. 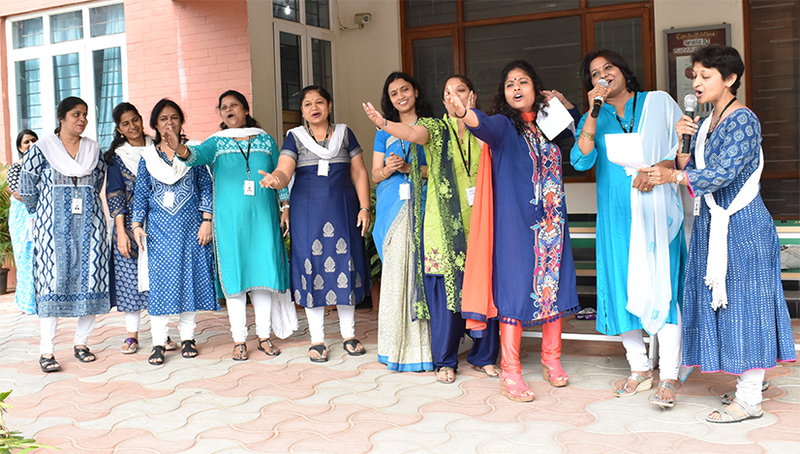 Parent Engagement Programme, 2018 was an initiative to celebrate the invaluable contribution of our parents in encouraging the overall growth of our children. Research shows that children whose parents are actively engaged in their education are more successful than others. 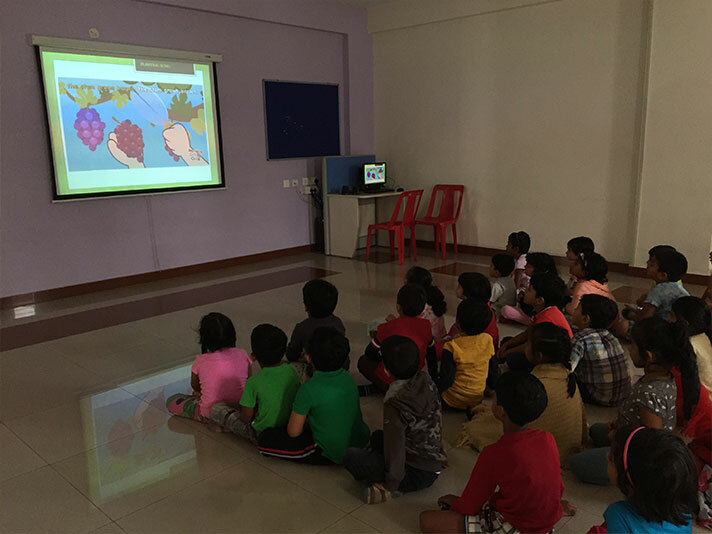 The parents of the students of Grade 7 spared their valuable time and readily volunteered to conduct an array of exciting workshops and seminars for their children on subjects like Bird Watching, Smart Homes, 3D Painting, etc. 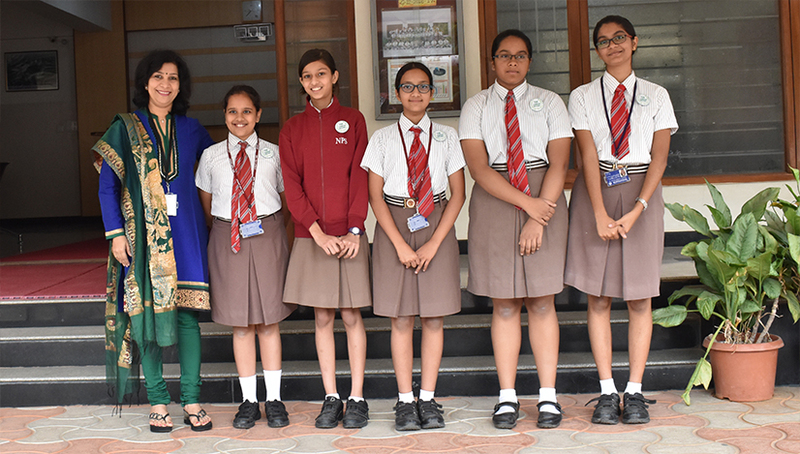 The culmination Programme, which the students presented for their parents on a thank you note, was also a resounding success. 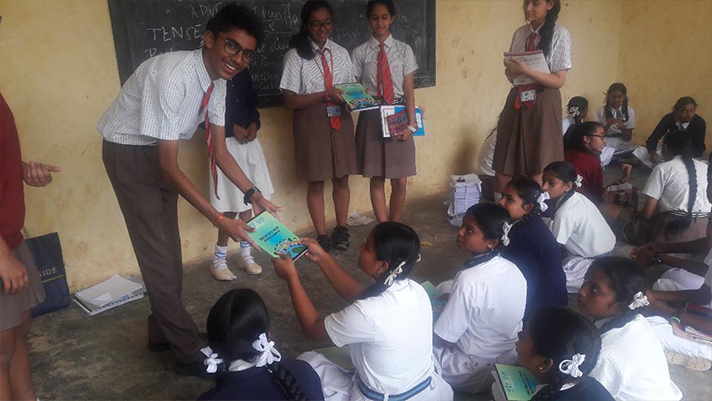 At NPS HSR, we believe that encouraging students to be actively engaged in community service will not only have a positive impact on their character building but will also provide service to those who need it the most. 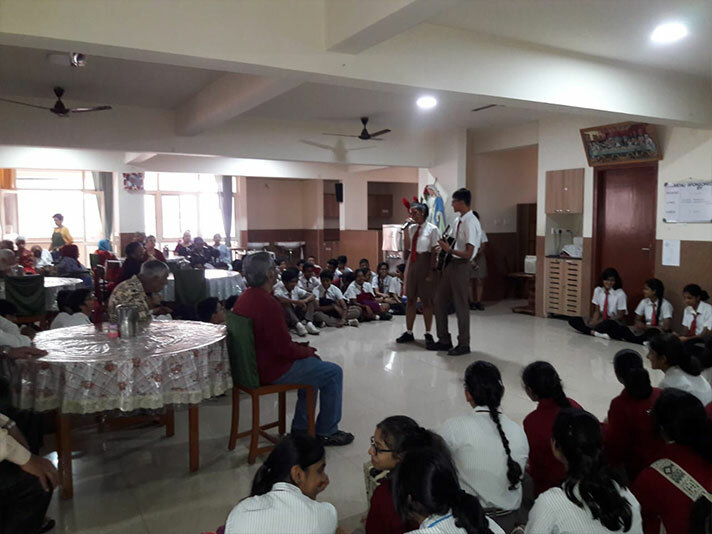 In keeping with this thought, on 14 August 2018, the students of Grade 10 NPS, HSR visited the ‘Little Sisters of the Poor’, an old age home, and met the senior citizens residing there. 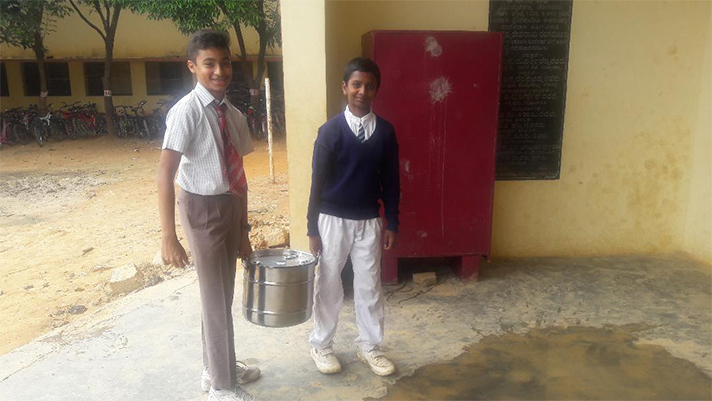 All students contributed in donating necessities like washing powder, rice, and dal to the organization. The students later on, presented some songs, dance and a skit, which was greatly appreciated by the members of the old age home. 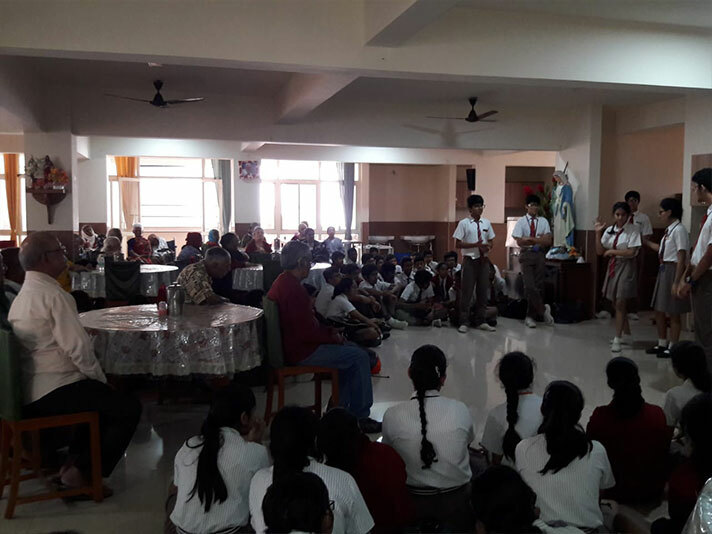 All students enjoyed visiting and connecting with the senior citizens and they spent a lot of time in meaningful and impactful sharing. This memorable experience will forever remain in all of our hearts. 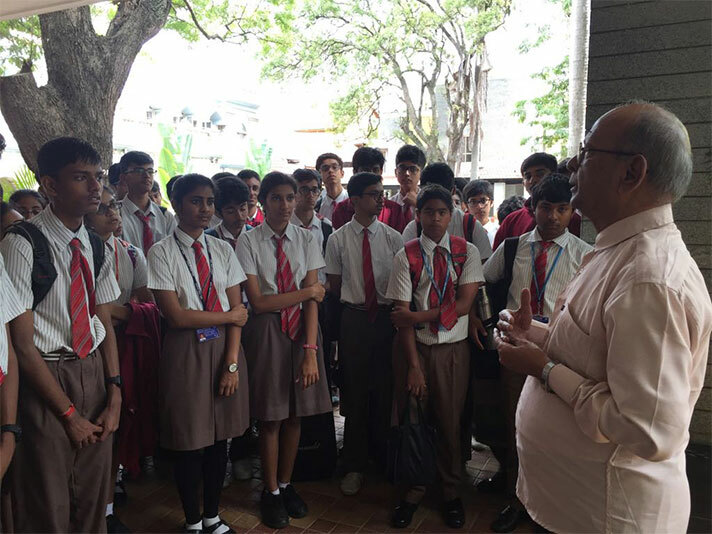 Agara Government School – On 22 August 2018, it was the turn of Grade 9 students to turn into facilitators for the students of Agara Government School. It was their turn to give to the society. 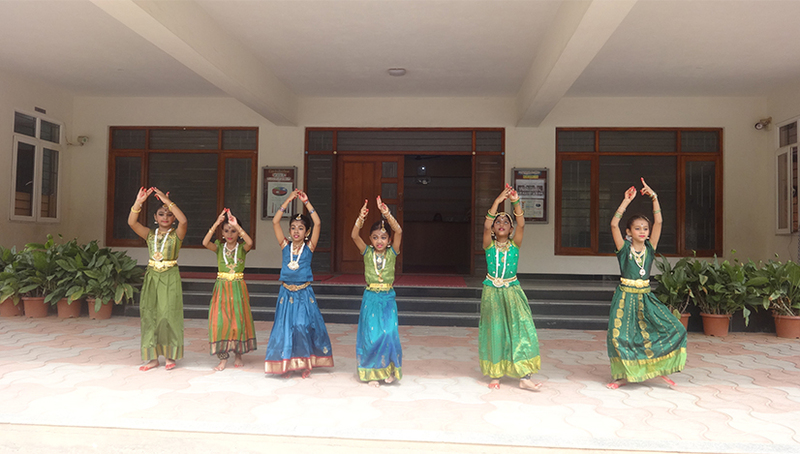 The trip to the School was an enriching activity for students of both the schools. 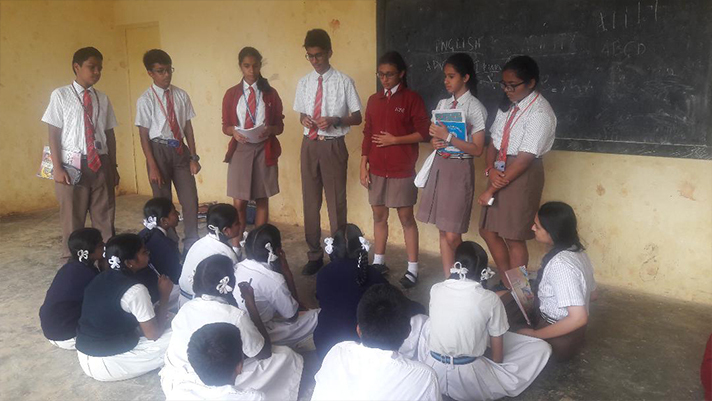 Students of NPSHSR became young mentors by teaching them English Grammar, Basic Trigonometry, Science (Difference between plant and animal cell), Arts and Craft (Best out of waste). They also organized a football match. 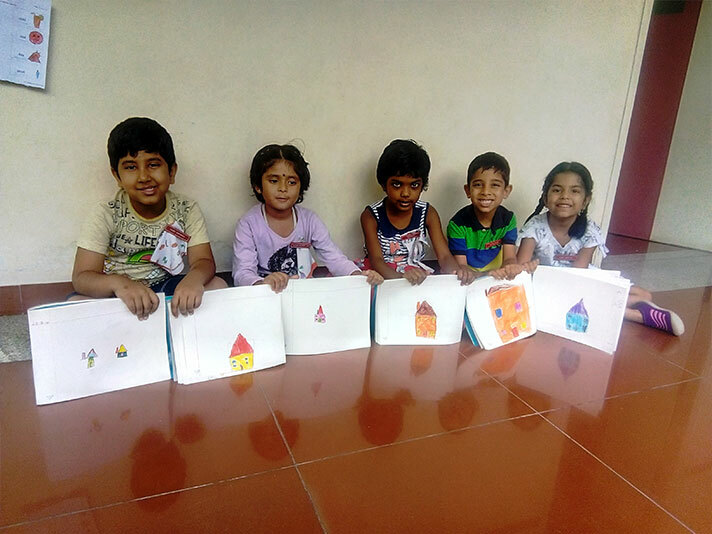 It was a session of learning and playing using creative and innovative methods. Our students also learnt something very important that day. They learnt to count their blessings and realized that they are far more privileged than they could have imagined. And best of all, they learnt the joy of giving. 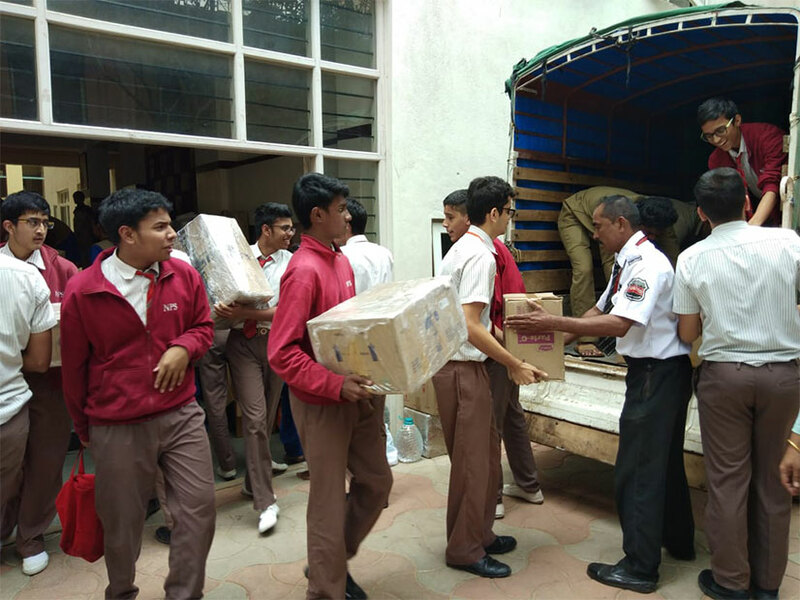 Collection Drive for Flood Victims – As Kerala battles its worst flood in a century, it is time for us to act and do our bit for the flood hit victims of the state. 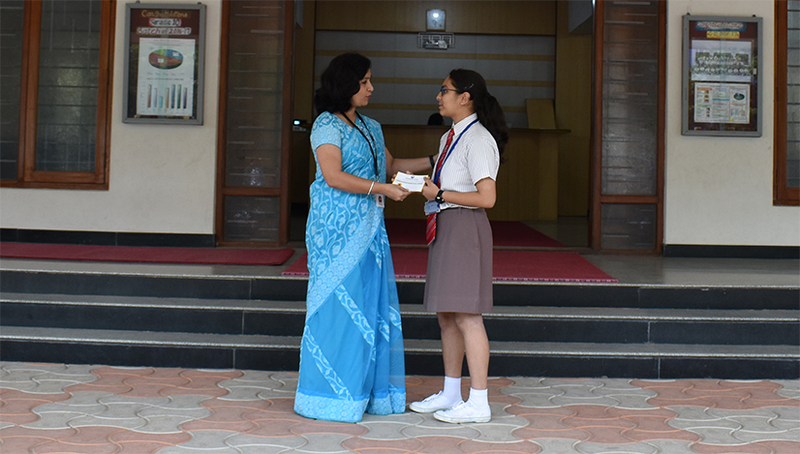 On 18 August 2018, students and teachers of NPS HSR along with Ms. Madhu Nichu and Mr. Dev, members of the RFI, rose to the occasion and donated generously to do their bit to alleviate the plight of the people who have been rendered homeless due to the havoc wrecked by heavy rains. As a matter of fact, in NPS HSR the response for donations was overwhelming. 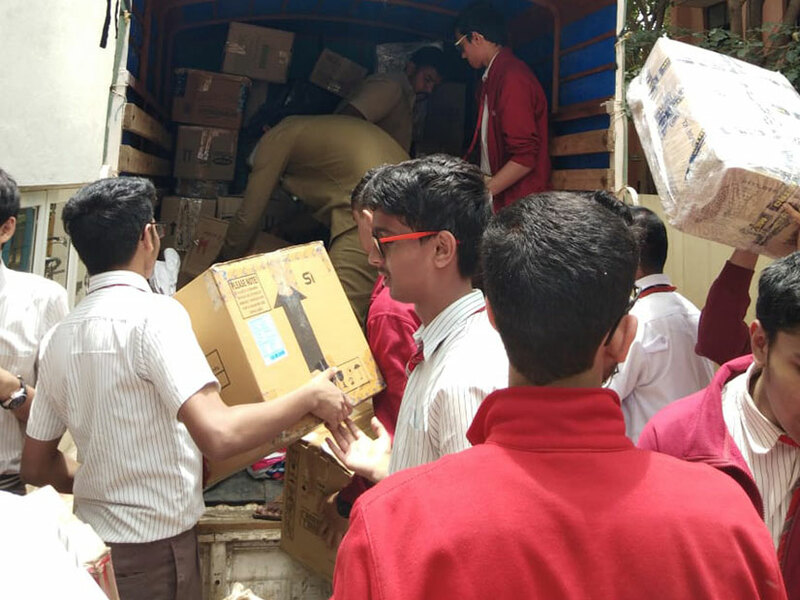 It was truly heart- warming to see students and staff segregating, packing and loading three truckloads of relief items to be dispatched to the designated places. The collection drive which continued through the day was successful. 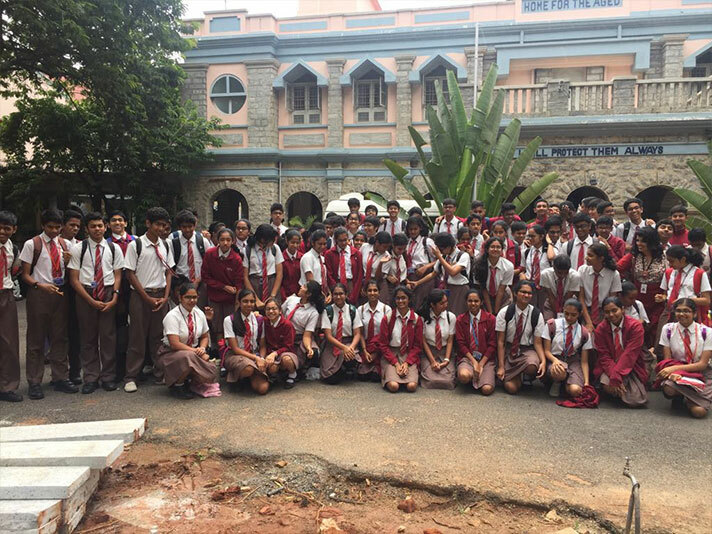 Green Brigade – In keeping with the government’s vision of ‘Swatch Bharath’, NPS HSR launched its ‘Green Brigade’ on 14 August 2017 to monitor the cleanliness of the school and spread awareness among students about environment and nature. 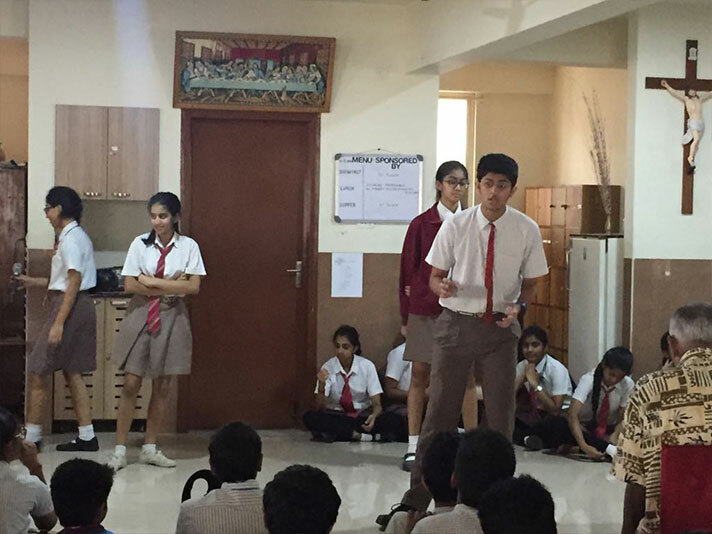 The team through a special assembly sensitized the students about the need to protect our environment. 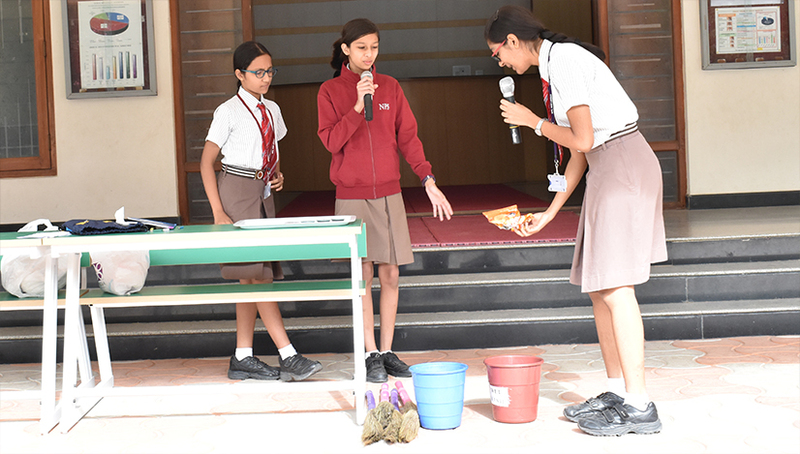 An entertaining skit was performed by the students, to drive home the message that the onus lies on each one of us to keep our environment green and clean. 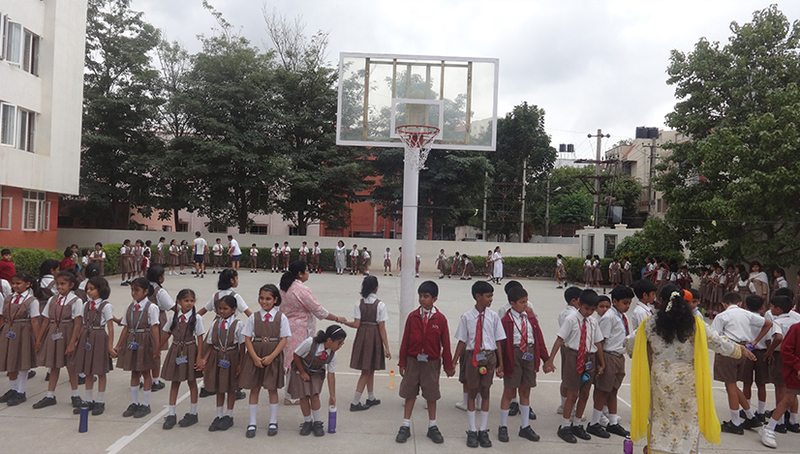 The students also took an oath to make their country greener and cleaner. Pay it Forward – Love and compassion are necessities, not luxuries. Without them, humanity cannot survive. - Ayushi Jain, Grade 11. 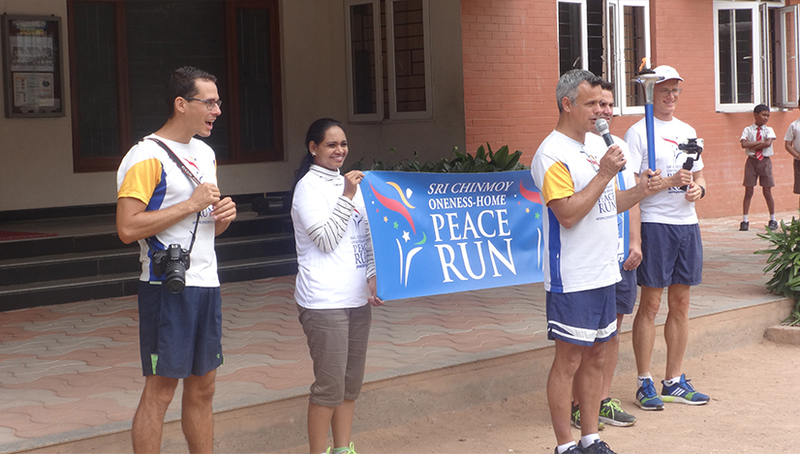 The Peace Run – A special assembly was organized for the students of primary school on 8th August 2017 by the Peace Runners of Sri Chinmoy Oneness Home Peace Run, invited by Subramaniam Academy of Performing Arts (SAPA). 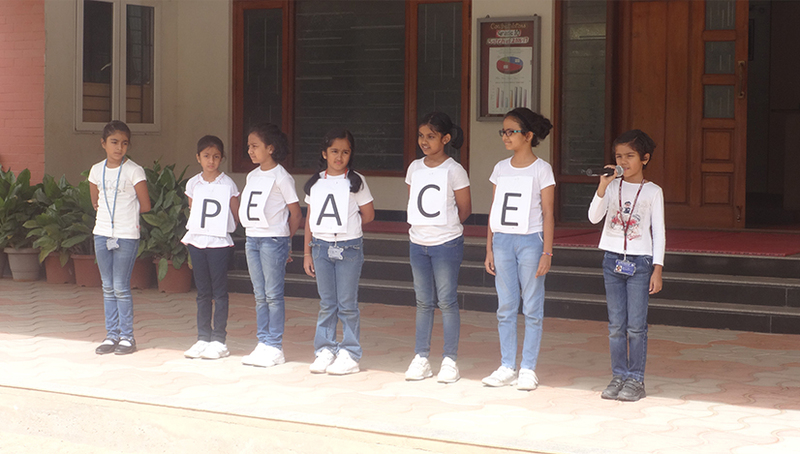 After a mesmerizing invocation dance, the students presented their interpretations of the word ‘PEACE’. 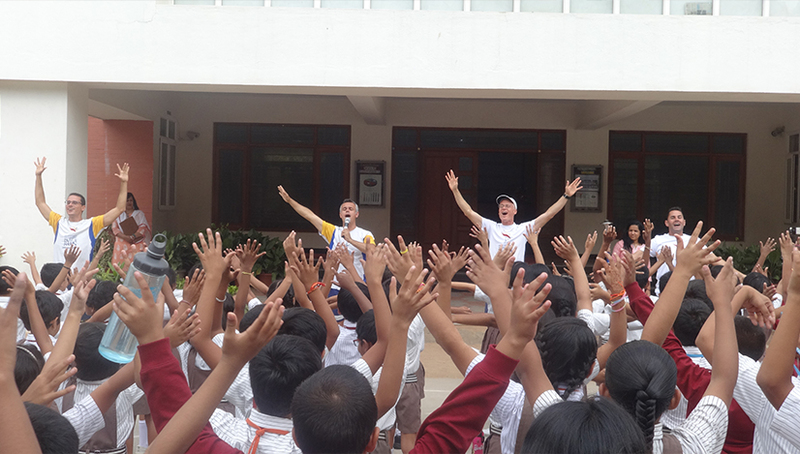 The Peace Runners representing various countries, conducted fun-filled activities with students to invoke the spirit of optimism, love and oneness. The peace torch was passed from one student to another akin a global torch relay that embodies humanity’s universal aspiration for peace amo ng people of all nations.